Leveraging traditional knowledge and biodiversity in order to make rural economy remunerative and attractive to curtail migration to urban areas is the way towards agricultural sustainability, Meghalaya’s Chief Minister Mukul Sangma said. Speaking at the Indigenous Terra Madre conference (ITM 2015) in Shillong, he said that appropriate and scientific approach, which takes into consideration challenges of global warming and climate change, is needed for sustainable agriculture that is the key to a sustainable economy. 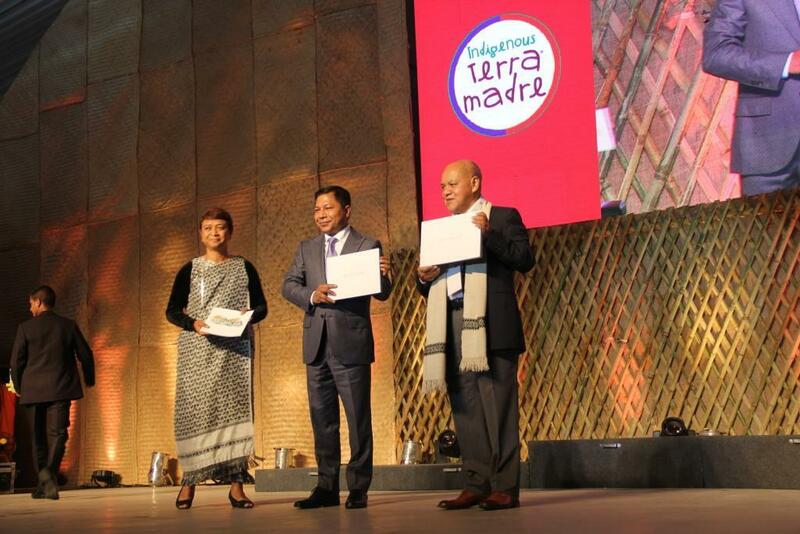 Sangma was speaking at the inaugural ceremony of International Terra Madre (ITM 2015) where more than 600 delegates representing 140 tribes from 58 countries have gathered. The event aims at celebrating the food cultures of various indigenous communities while bringing them on a common platform for exchange of ideas, good practices and experiences. Forty one villages from Meghalaya will be co-hosting the event which will be held from Nov 3-7. The event, which is also called International Mei-Ramew 2015, which means Mother Earth in the local Khasi language, aims at reflecting on evolving food and agro ecological issues of indigenous people. According to Phrang Roy, chairman, North East Slow Food and Agrobiodiversity Society, there are no plans to guide the world, which is suffering evolving crisis in food security and climate change, to a sustainable future. He said indigenous communities have suffered land grabs, cultural invasion, intellectual property violation coupled with commodification of land driven by their own greed for quick prosperity. It was further emphasised that collective peace and harmony that are the basics of an indigenous community are the path to a sustainable future. Native American activist Winona LaDuke said genetic engineering in food must be stopped to save food ecology. The event will comprise of thematic sessions ranging from women’s and youth’s role in the future of food and nutritional security to sustainable development goals and promoting food sovereignty.